Lovers of arts and crafts – especially those with a taste for coastal decor – will have a chance to browse in the most appropriate of settings this weekend. 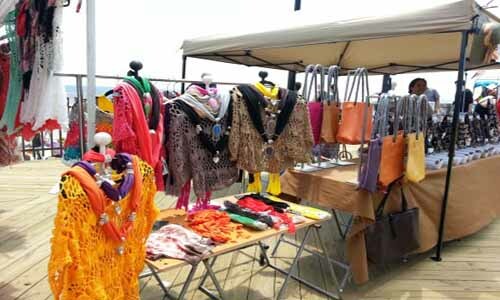 Seaside Heights will host its “Arts and Crafts by the Sea” event Saturday, June 9, from 11 a.m. to 7 p.m. on the boardwalk between Dupont and Grant avenues. The annual event features over 50 artists and crafters, ranging from hand-made jewelry to home-made soy candles and art works. “Enjoy a day of shopping with the sights and sounds of the Jersey Shore in the background,” an announcement of the event said.